If you live in Boone or Callaway Counties, you’re eligible for a free DBRL library card. You can get a card at any age, but applications for those under 18 require a parent or guardian’s signature. Renew your card online, over the phone or at check-out. Cards need to be renewed every two years. Please let us know immediately so we can assign you a new card number and transfer your record. This protects you in case someone tries to use your lost or stolen card. There is a 50¢ fee for a replacement library card. Online through the catalog. Your barcode number is on the back of your library card. Your password (also sometimes called your PIN number) is usually your birth date in the format MMDDYYYY. In person, you must have your library card number to check out items, renew, place holds, have your library record accessed by staff or use a library computer. We value your right to confidential library records, therefore, we will only release account information to you (including over the phone or via email) if you have the card number or can verify your identity as the cardholder. This includes parents wishing to see a child’s record. You can give us updated information in person, by phone or through this online form. How long can I keep my check-outs? Most books, CDs, DVDs and other items check out for three weeks although some collections have special rules to assure better availability. Kits (Little Red Reading bags, Play as Learning kits, etc.) check out for four weeks. You will need your library card number and the item’s barcode number. How do I place a hold or request a book? Online through the catalog. Log in to your account, and then find the title you’d like to place a hold on by searching the catalog. When you find the title and format you want, click the green “Place a Hold” button, select the location where you’d like to pick up your item and confirm your hold. Or in person at the library. You can also request books not available in the DBRL catalog through our interlibrary loan service. We do not charge fines for overdue items. If items you borrow are overdue, we send you a notice to remind you. If you still don’t return them, we send a bill for replacement costs, and your card is blocked. You won’t be able to place holds, check out or download anything until either the overdue items are returned in good condition or your replacement bill is paid. Ultimately, failure to return library materials may result in prosecution for theft under the Missouri Revised Statutes, sections 570.200 and 570.210. Patrons with overdue items, the value of which exceeds an amount determined as excessive by DBRL, may be referred to a collection agency for either return of the materials in acceptable condition or payment for replacing the materials. Some library resources will ask you to log in with a PIN number or password. Your PIN is usually your birth date in the format MMDDYYYY, unless you have changed it. For example, if you were born on March 20, 1970, your PIN would be 03201970. Search FirstSearch (WorldCat) to find an item available from another library. Select the title you want and click the “Borrow via DBRL ILL” link. Sign in to your interlibrary loan account using your library card number. Review your request and click submit. You will be notified when the item is ready for you to pick up at your library or bookmobile. Interlibrary loan service is only available for residents of the Columbia-Boone County and Callaway County Library Districts. Want to enjoy eBooks and digital audiobooks, music, magazines, movies, and TV on the go? Your DBRL card has you covered. Check out the following services. 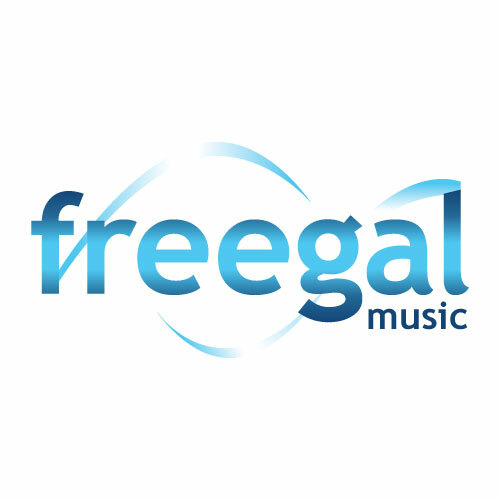 Freegal: weekly music downloads and ad-free streaming music. 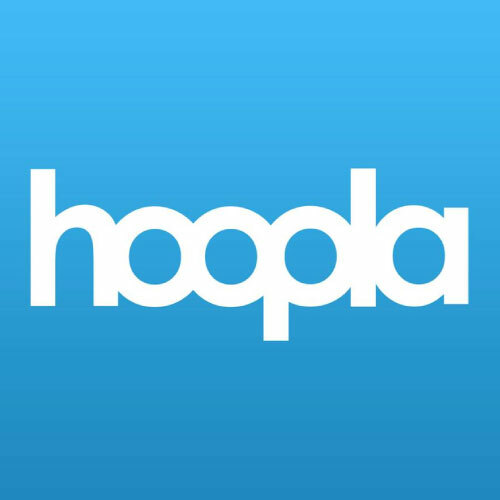 Hoopla: streaming and downloadable audiobooks, comics, eBooks, music, movies and TV shows. 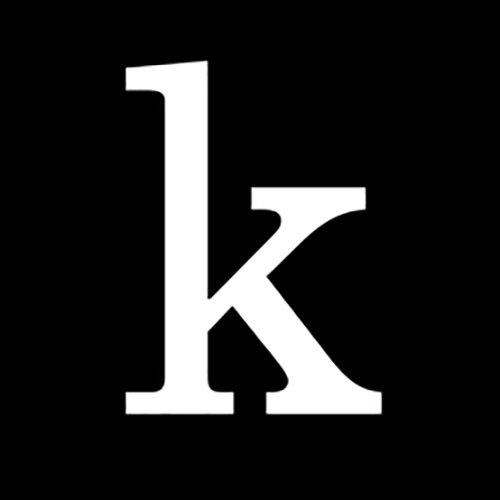 Kanopy: streaming films and other videos. 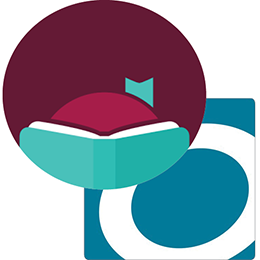 OverDrive: downloadable eBooks and audiobooks. RBdigital: Digital magazines (Formerly Zinio). Note: Your PIN number is usually your birth date in the format MMDDYYYY. The bookmobile has regular stops in a number of locations and offers a full array of library materials and services for all ages. You can also pick up items you’ve put on hold. Call the Outreach Department for more information: (573) 817-7097. Loaded with books and other materials for kids and parents to check out, Bookmobile, Jr. visits community centers around Columbia. Call Children’s Services for more information: (573) 817-7160. The smallest of our vehicles, the Book Rover gives us greater flexibility on where we can visit. It travels to community centers and events with library materials people can browse and check out. The Book Bike brings library information and resources to community events throughout Boone and Callaway Counties March-October. At most Book Bike visits, you can check out books, get a library card and learn more about library programs and services. For more information, contact us. If you have a Daniel Boone Regional Library card, but can’t visit our buildings because of age, illness or disability, we’ll bring the library to you. patrons in senior citizen’s homes. the residences of people of any age who have a long term-illness or disability. In addition, a number of retirement homes, long-term care facilities, senior centers, food banks, group homes, fire stations and correctional facilities are on our regular delivery routes. We also can come to your home to assist you in signing up for the Wolfner Talking Book and Braille Library. Contact our Outreach Department for help using these services at (573) 817-7097.
Who can use meeting rooms? Your group must submit a Meeting Room Application Form at least once a year. Once your application is accepted you can make room reservations by phone. Your group can reserve a room once a month. We take reservations for the current month and the next two months. Meeting rooms cannot be used to sell or advertise products or services. For full guidelines, see the DBRL Meeting Room Policy. Features: a small kitchenette and a retractable projector screen. Features: a whiteboard and a retractable projector screen. Features: a small kitchenette. This room can be divided into two rooms, each holding up to 30 people. Features: access to a small kitchenette. This room can be divided into two rooms. For reservations call: (573) 657-7378. As part of our goal to support lifelong learning, designated library staff can proctor examinations at our libraries. Read the full policy. The Columbia Public Library offers in-depth instruction on a wide range of topics for beginning, intermediate and advanced learners. Registration begins two weeks before each class date. To sign up, call (573) 443-3161. The Columbia Public Library offers “Drop-in Tech Help” on Tuesdays and Fridays from 2-3:30 p.m. You can drop in to use our interactive tutorials learn basic computer skills, Windows 10 or Microsoft Office. Library trainers are also available to answer general technology questions. No registration is required. The Callaway County Public Library offers “Interactive Computer Tutorials” on Thursdays from 9:30-11:30 a.m. You can drop in to use our interactive tutorials to learn basic computer skills, Windows 10 or Microsoft Office. At the Southern Boone County Public Library, interactive tutorials are available anytime during library hours. Use our online form to request a 45-minute appointment at the Columbia Public Library to get help with your technology questions. For help at the Southern Boone or Callaway County Public Library, call these facilities directly. A library trainer will help you with your Apple, Android or Windows computer or device. You’ll also learn about related library resources to strengthen your technology skills. Lynda.com offers video tutorials for using your Apple, Android and Windows computer or device. Classes are taught by top experts and are set up so you can learn at your own pace. Access Lynda.com for free with your DBRL library card. The library provides computers for word processing, checking your email and accessing the internet. There is no charge to use these computers, but you need an active Daniel Boone Regional Library card or a guest card (for patrons who live outside the service area). The library’s computers are available on a first-come, first-served basis. For more information, read the complete computer use guidelines. Please be courteous to those around you and don’t use your phone at the computers. Read the complete rules for behavior. Each library location has internet computers available on a first-come, first-served basis. They cannot be booked in advance. What do I need to use an internet computer? Log on with your library card number and birth date. Visitors age 18 or older may request a guest card (photo ID required). You may use the internet computers for at least one hour per person per day. Depending on computer availability, your time may be extended for an additional hour or more. What software do library computers have? Basic black and white printing costs 10¢ per page. Color printing requires staff assistance and costs 50¢ per page. Yes. Save any work you want to take with you to your own USB flash drive before your time is up. You cannot burn (save) information to CDs or DVDs. You cannot download software onto library computers. All three libraries have free, building-wide wireless internet access. Wireless printing is available following the instructions at print.dbrl.org. It is the sole responsibility of all wireless device users to provide updated antivirus and anti-malware software on any device while using the library’s network. Does the library have computers for kids? If you or your group would like a tour of one of the libraries, we would be happy to show you around. Tours can be customized to feature demonstrations of resources such as the online catalog, research resources and various specialized collections and services. Speakers from the library can be scheduled to talk to your group about libraries and library services. The Daniel Boone Regional Library encourages a love of reading that extends beyond the library’s walls. We recommend that you contact us four weeks in advance about visiting your school or organization, as we consider requests in order of submission. A staff member can read to your class as part of a read-a-thon, mystery reader day or other reading-focused event. We’ll bring “Family Story Time” to your location and talk about other literacy activities coming up at the library. Most story times last 20-30 minutes and can be tailored to families with kids from birth through fifth grade. We’ll set up a table where kids and their families can fill out library card applications and learn more about special library events. With a library card, families gain access to items at any of our three libraries and bookmobiles as well as services through our website. Either of our two bookmobiles can be requested to make an appearance at your event. Each vehicle comes loaded with books, music CDs, DVDs and more. Each summer we offer Summer Reading programs for all grades, and welcome the opportunity to make a 10-minute presentation during your school assembly or staff meeting in the spring. The library can provide a guest speaker for your organization, class or event to present on various services and programs for adults, such as: computer classes and technology in the library; One Read, our community-wide reading program; our digital branch; Adult Summer Reading; and more. Our librarians present two adult instructional workshops on how to improve childhood literacy. Every Child Ready to Read – This training session focuses on early literacy skills for children from birth through age 5. Read From the Start – This Missouri Humanities Council grant-funded program presents ways to share books with young children. It involves a two-night commitment over three to four weeks and requires a two-month advance notice. Participants receive seven free books. Minimum class of 15.